Playing our musical homage to the music of the great John Scofield. It could cause dancing in the aisles. It may make you ask the cab driver if he’s got a John Scofield cd in the car. Cheers! Sava Boyadzhiev is a Bulgarian drummer, percussionist, timpanist, sessions musician and educator. During his 20 year long career as a successful sessions player, Sava has played the most prestigious venues and festivals in 25 countries and across 4 continents. While studying classical music in Bulgaria, Sava discovered Jazz and soon became the most sought after drummers there playing with the best in the country. During his tenure with the New Symphony Orchestra he accompanied Vanessa Mae, Joshua Bell, Stanimir Torodov, Electric Light Orchestra, Liviu Prunaru and performed under some world renowned conductors. He soon moved to the United States where, during his times as the house drummer in Tarpon Springs, Florida, he accompanied the likes of Chick Corea, Jeff Berlin, Roy Hargrove and Charlie Hunter. Now in India, Sava is a music educator, sessions player and band leader. He got nominated for the Best Drummer for his work on ‘Adil & Vasundhara’s album AMPERSAND at the Jack Daniel’s Rock Awards 2013. Sava continues his journey as a well loved sessions player in the country and a successful band leader as well. Pranai Gurung - one of the finest guitarists in the city, Pranai has been writing and collaborating with various musicians for over 15 years. He is as much as ease with Jazz and Bebop as with Funk, Pop, Retro, RnB and the Blues. 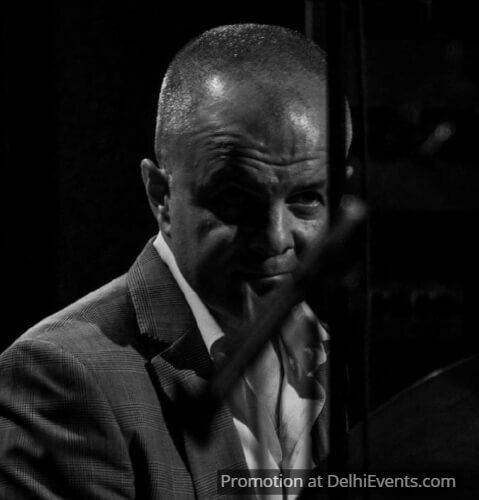 He has worked with DRIFT The Trio, Silk Route, Bipul Chettri, J-hola, The Crossover Jazz Collective, BollyJazz, Vasundhara Vee, Aman Kartikeya Pranai . International artists like German Saxophonist Rainer Pusch, Gianni Denitto and French singer Raphaelle Brochet have invited him to collaborate in what turned out to be performances of significant critical acclaim. He is the academic head and director at blue notes music school in vasant kunj and have successfully trained many music professionals in the city in the last 10 years since it's inception. The school runs prograSms for beginners as well as professionals.